The box is really huge (57.7 x 47.7 x 12.2 cm) and it weights 4 kg. You can find a lot of information on the back about both the A and the B models. 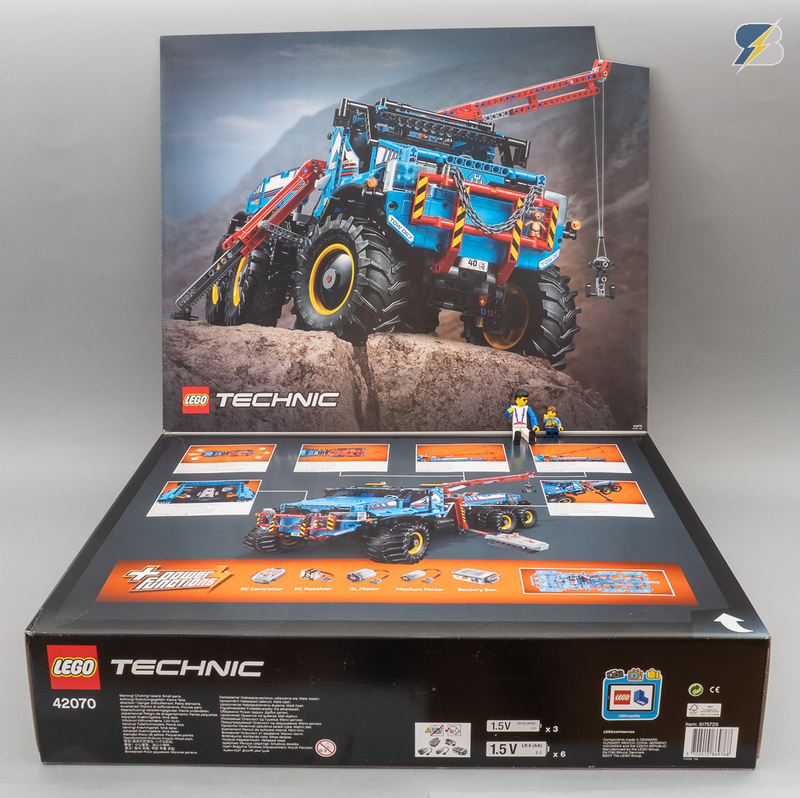 The top of the box opens and there’re some additional detals inside with a cool artwork showing the truck in action. 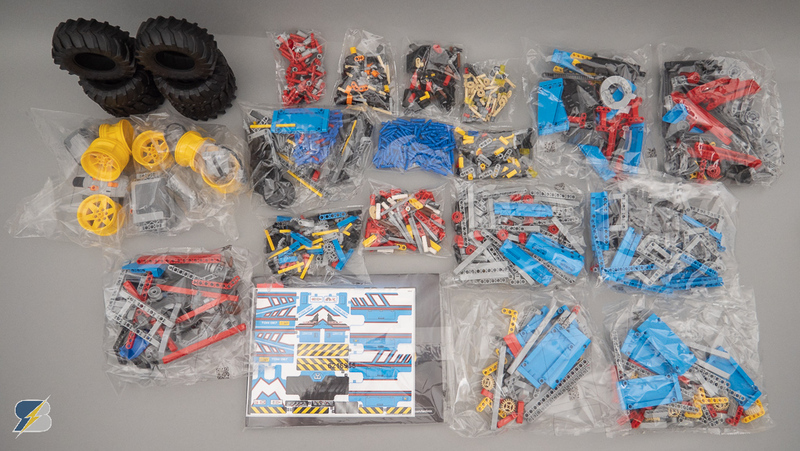 The box contains 18 unnumbered bags (which does not help the building process…), 6 tires and the instructions with the sticker sheet. 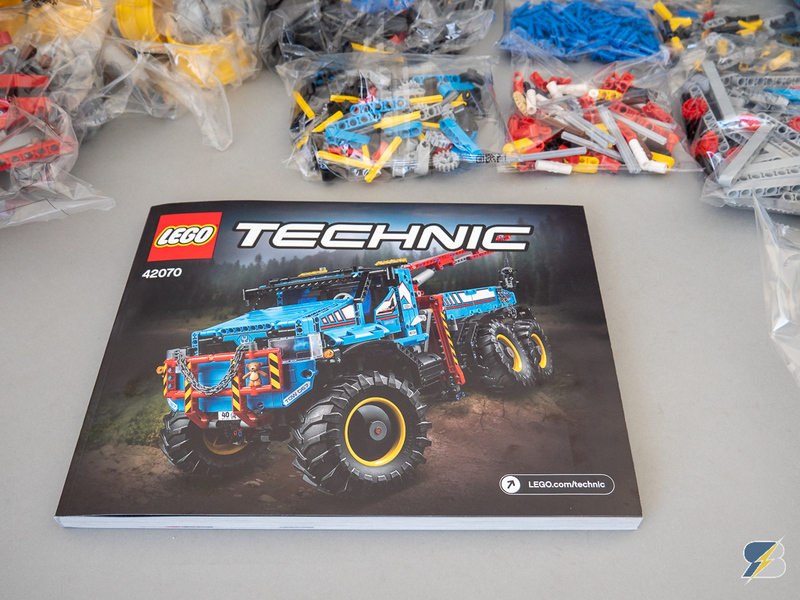 The instructions have 590 steps on 402 pages. 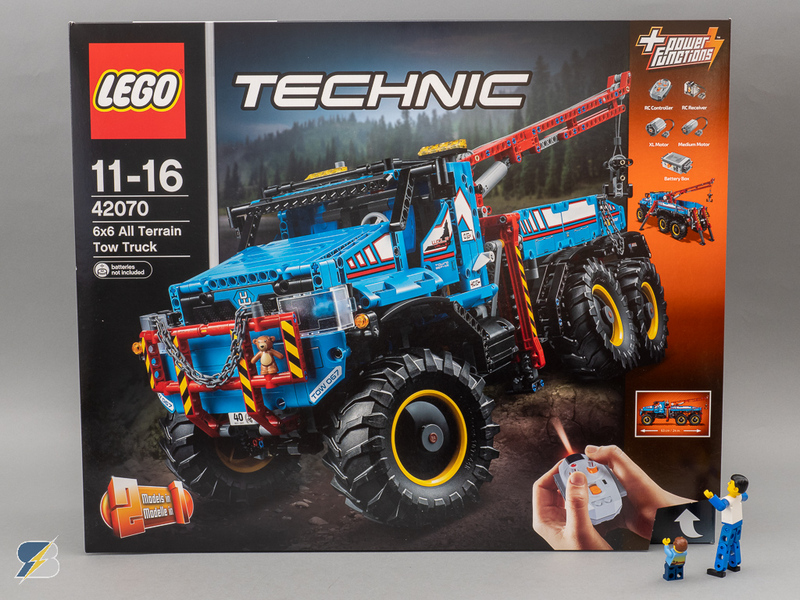 Make sure to check out the video for the speed build 🙂 The detailed review is coming soon with full feature demonstration, off-road test and some quick upgrade tips for the truck. Stay tuned! 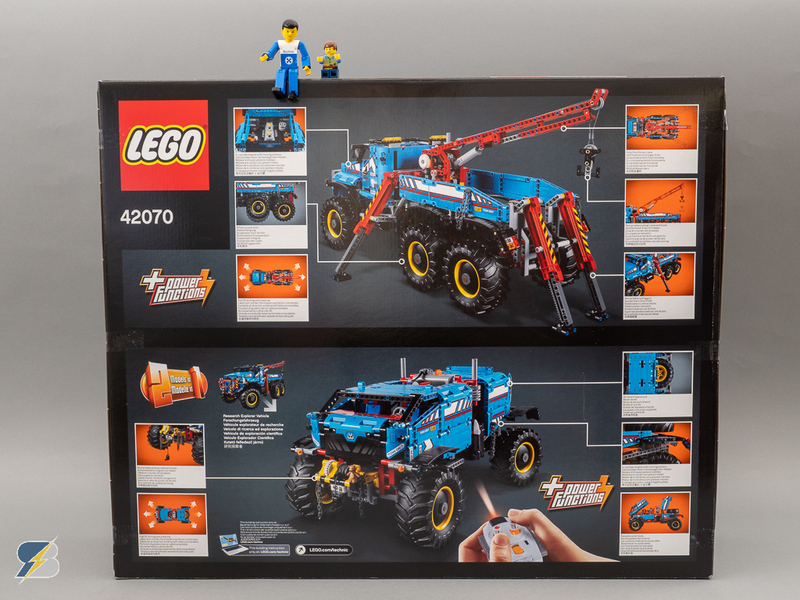 42070, Lego, Speed build, Technic, unboxing. Bookmark.